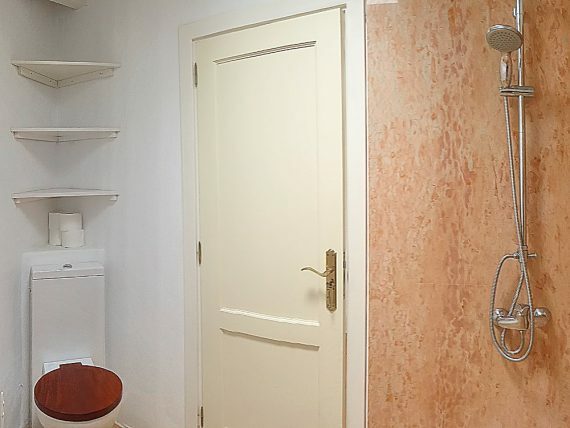 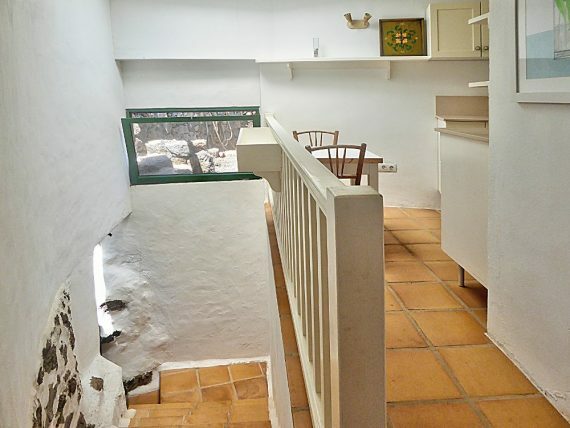 Small, original apartment on two levels. 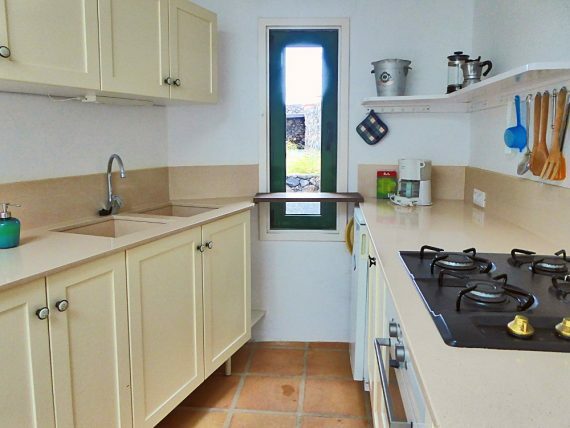 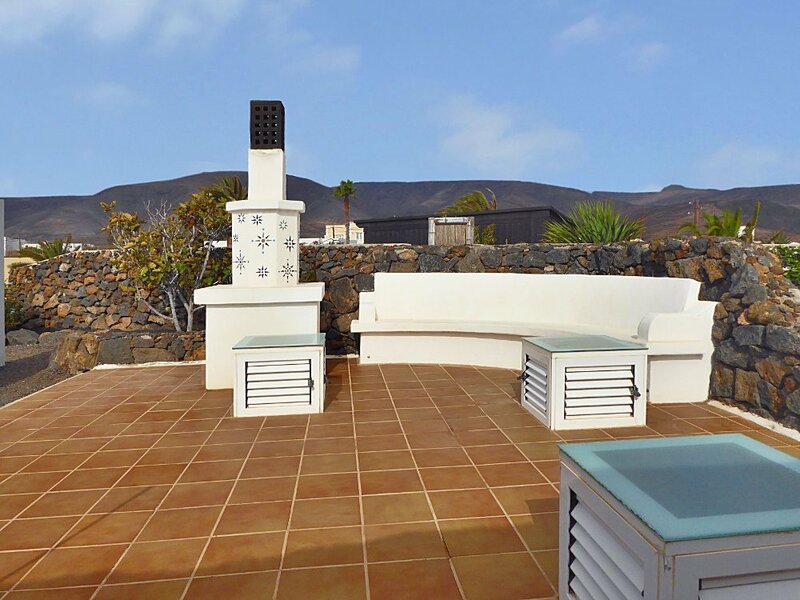 Kitchen and bathroom are on the ground floor and have access to the terrace and the garden. 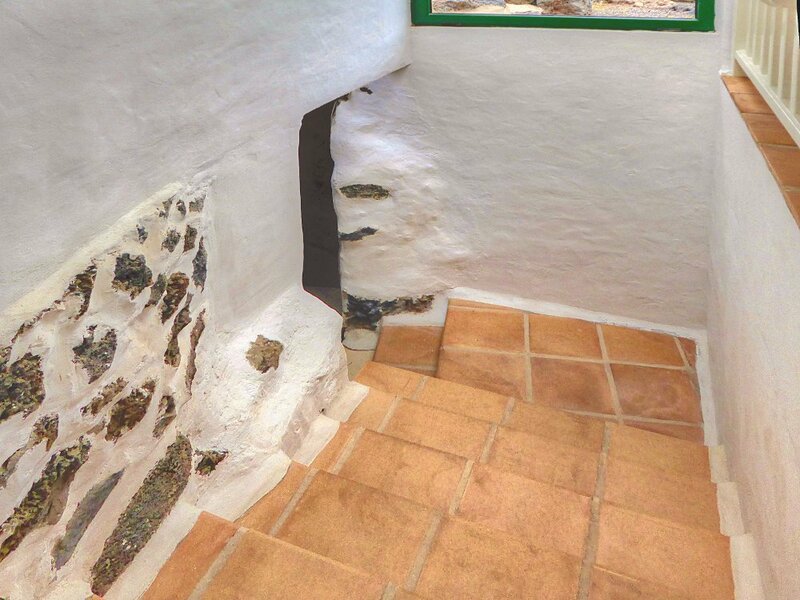 This part is made of natural stones. 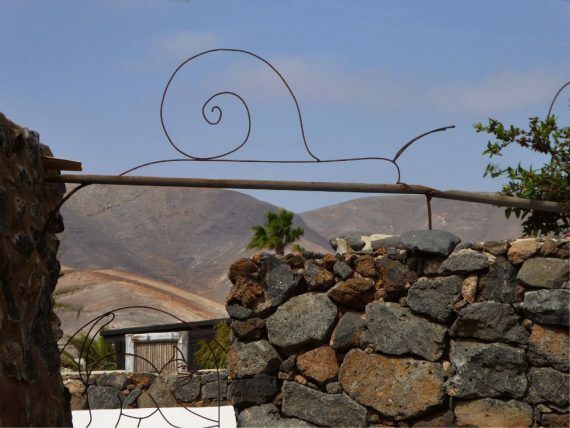 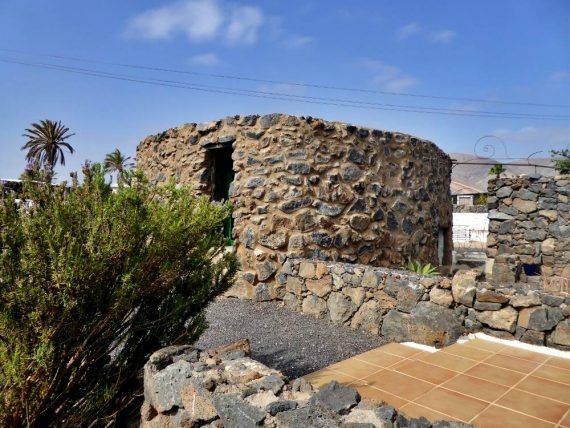 Because of its rounded shape, it reminds us of small vaults made of dry-stone masonry, which can still be seen on the edge of some fields and which are called „Taros“ on Lanzarote. 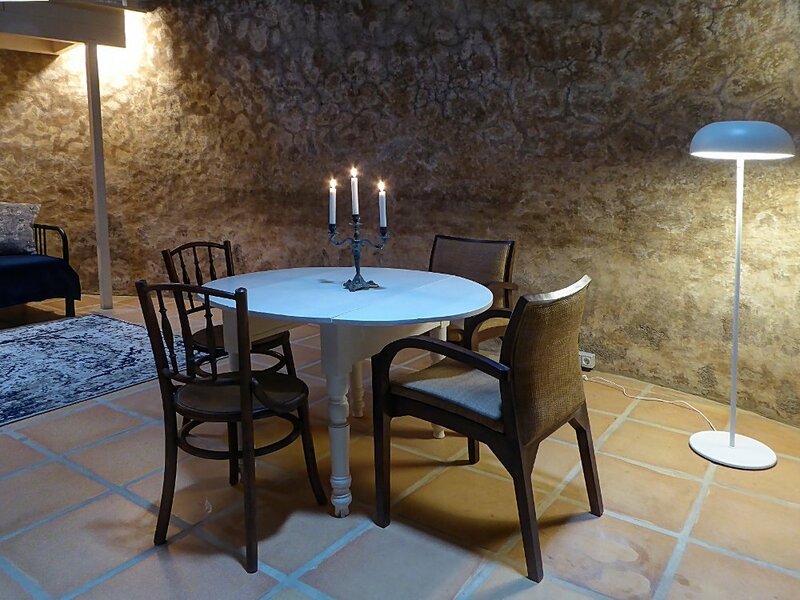 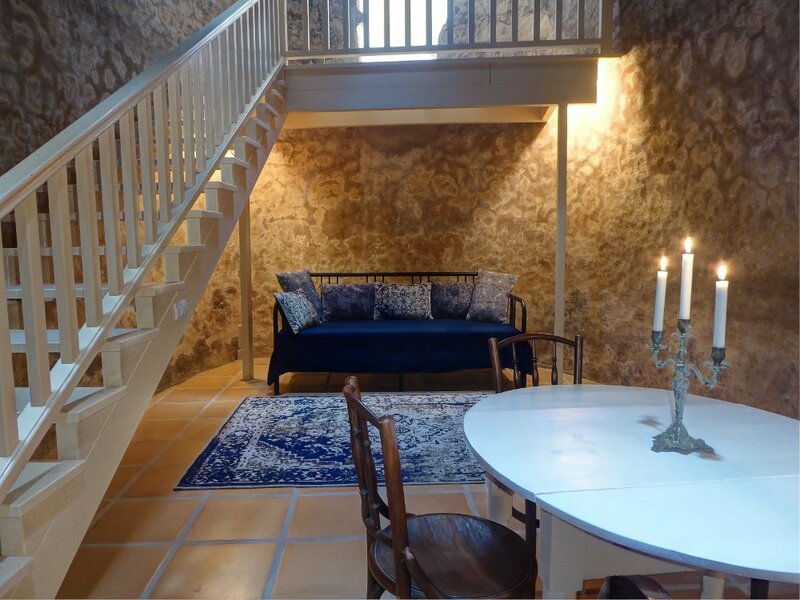 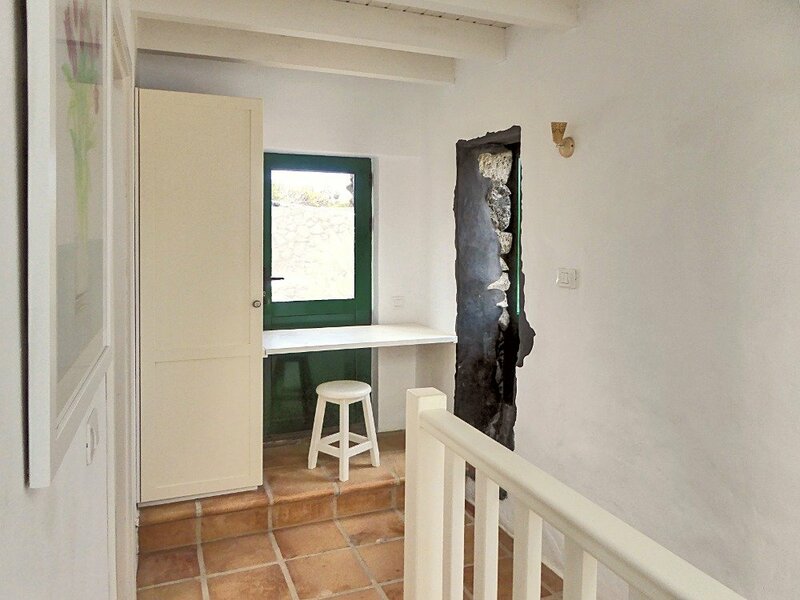 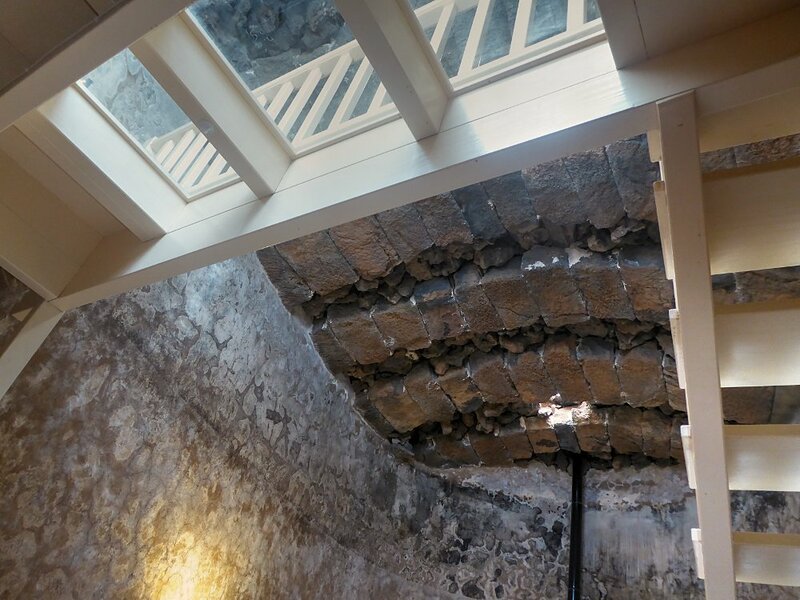 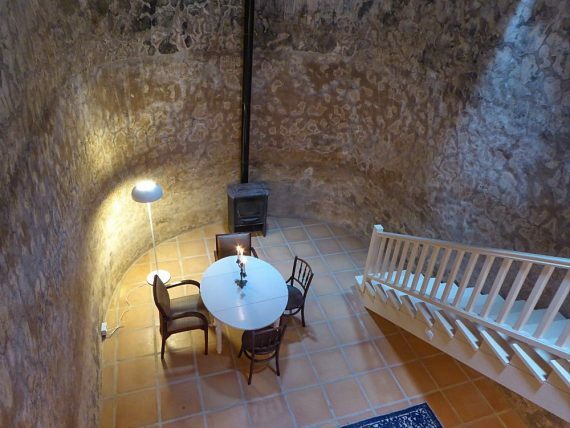 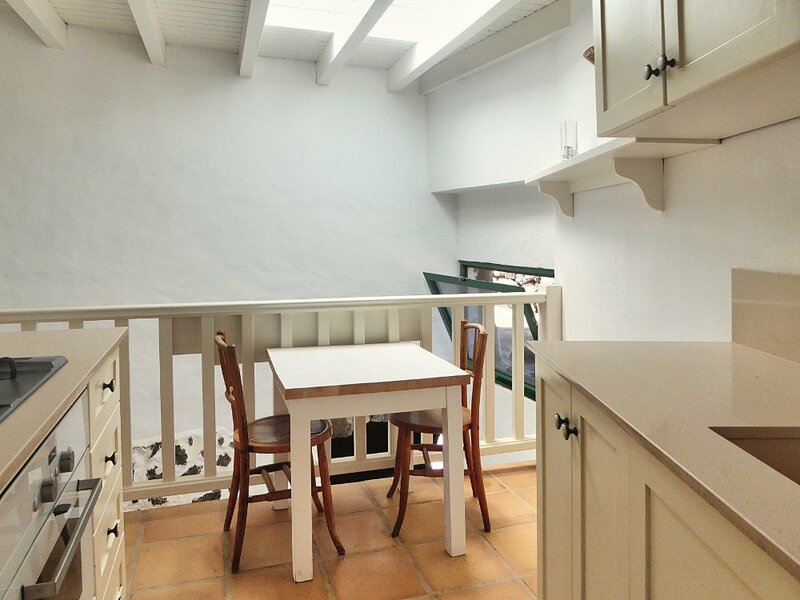 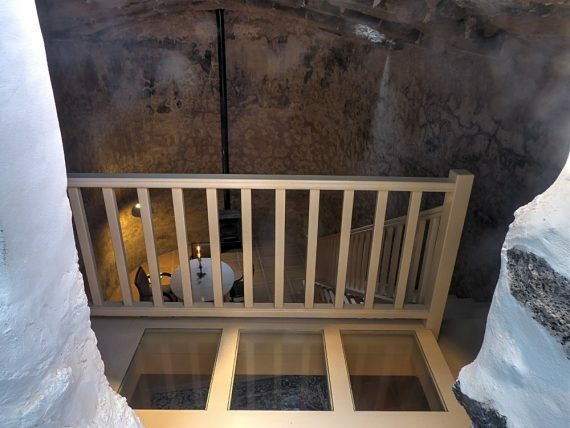 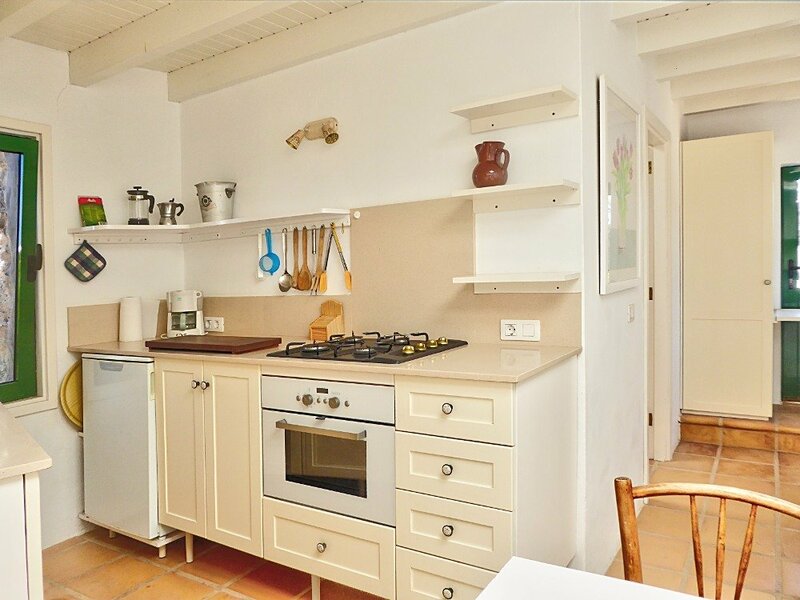 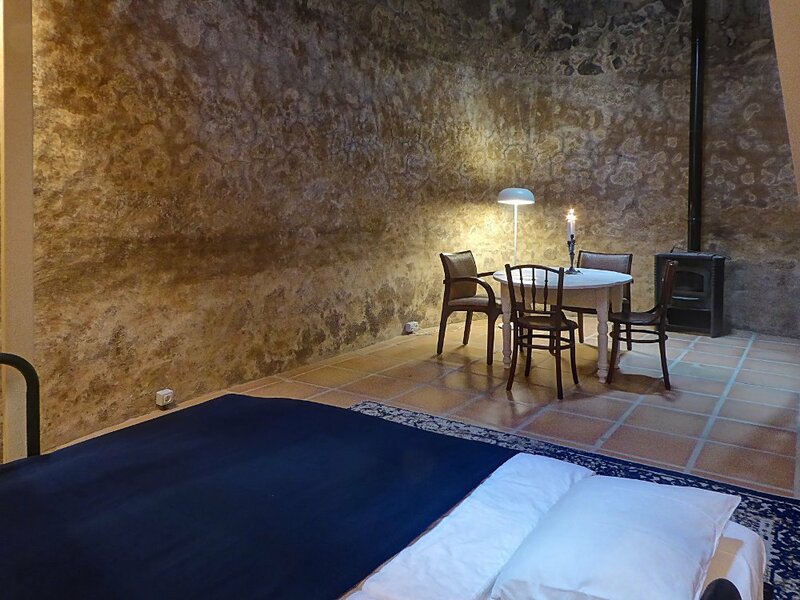 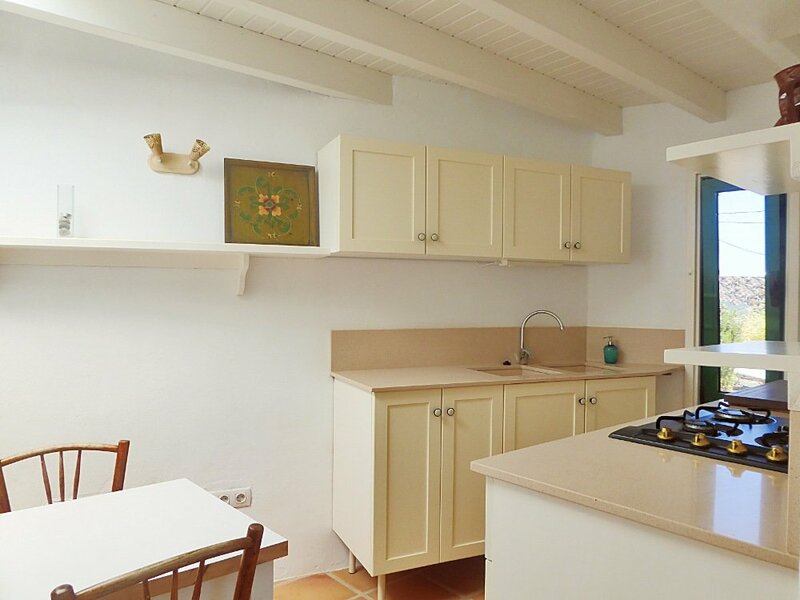 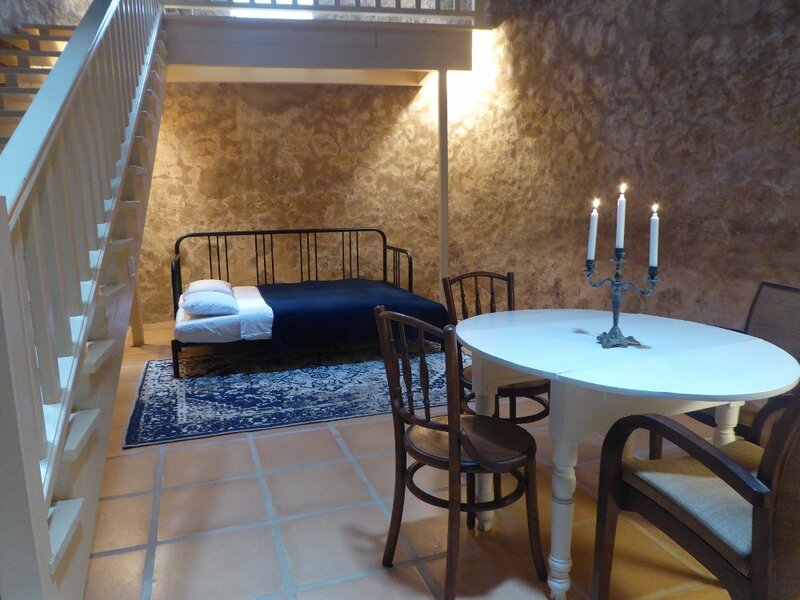 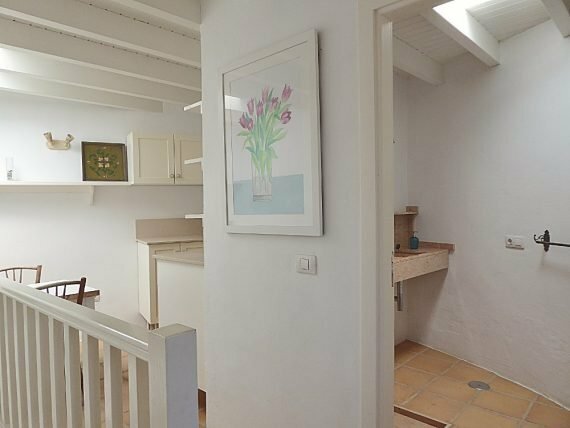 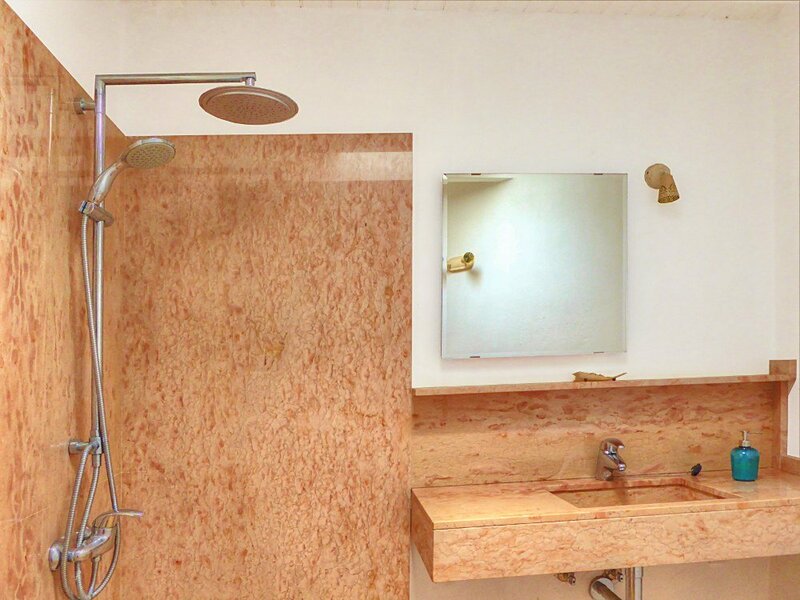 In the basement – the old water reservoir of the Finca – there is the 26 m² combined living/bedroom.